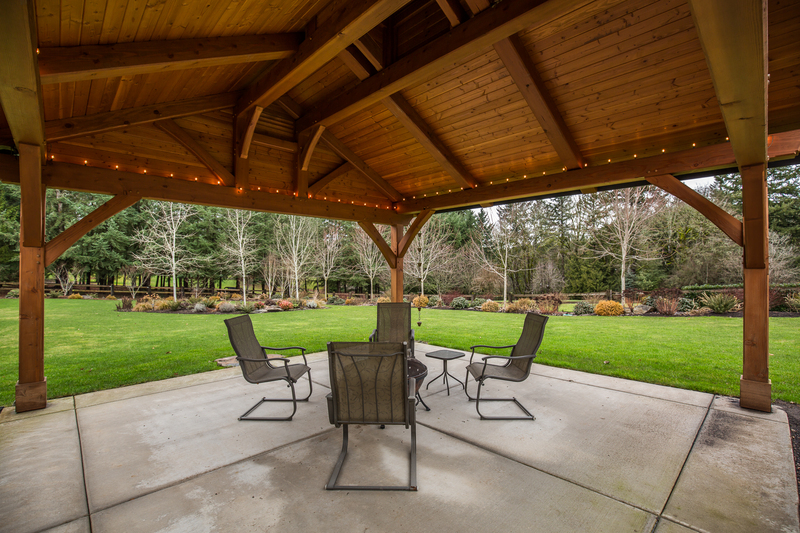 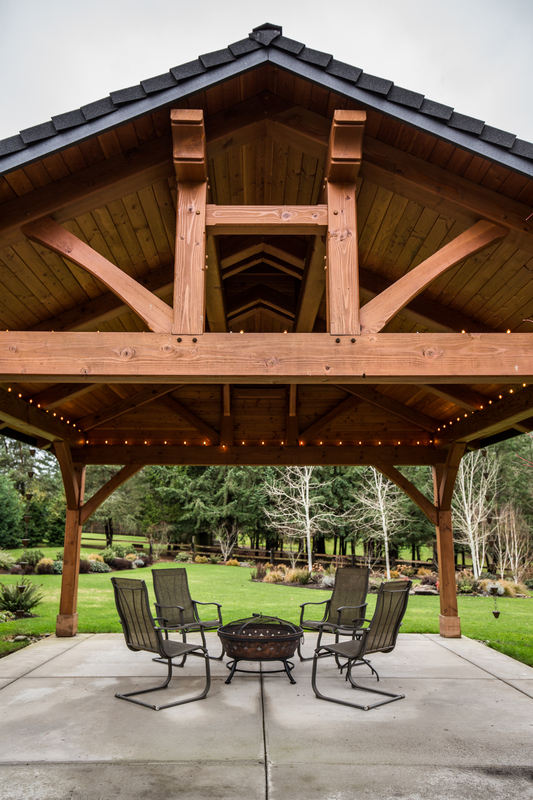 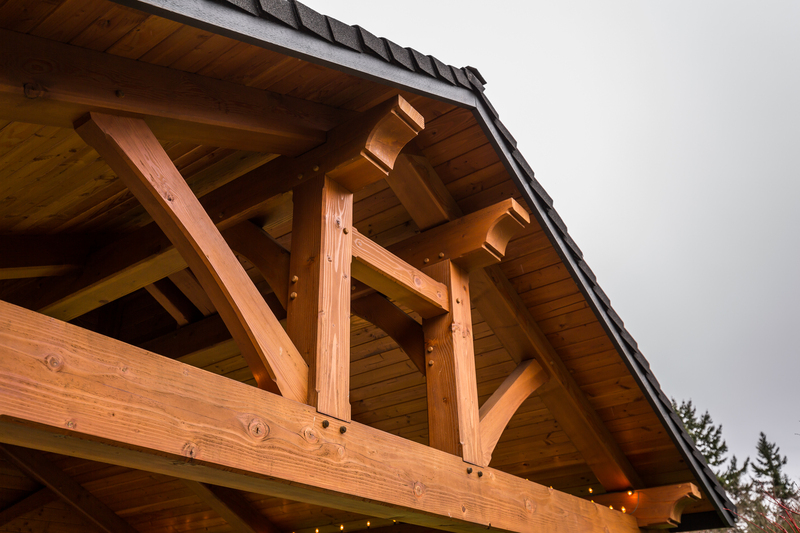 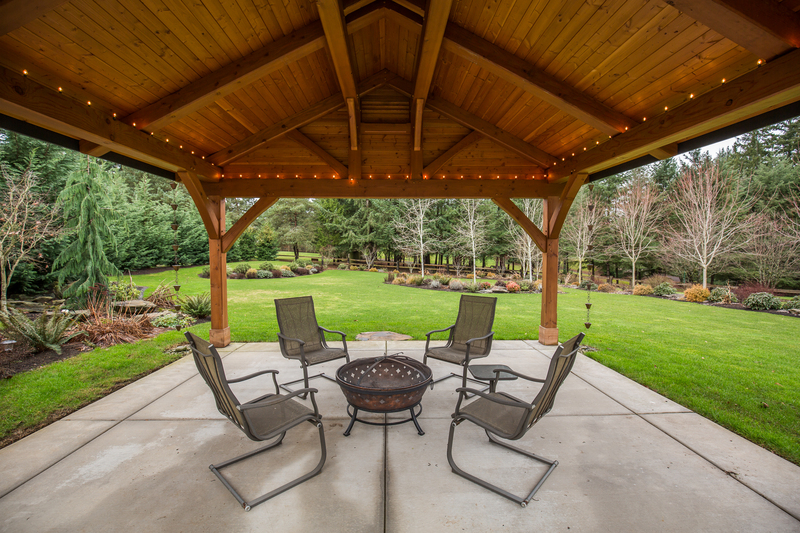 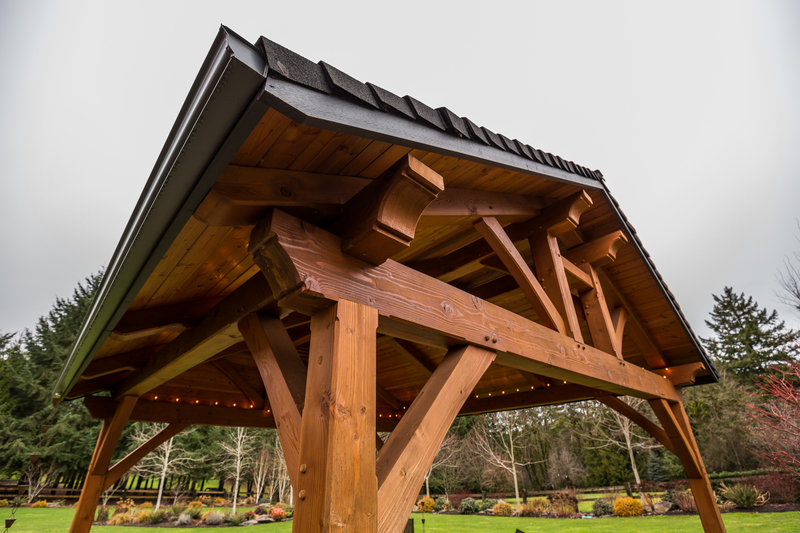 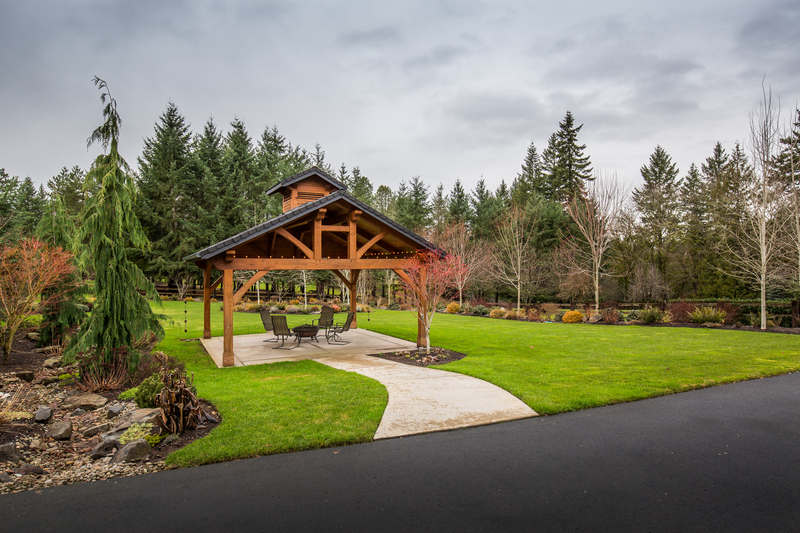 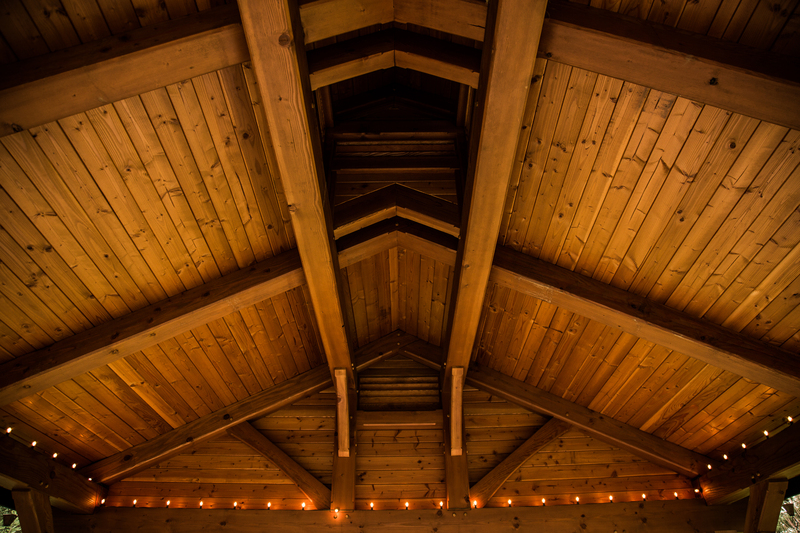 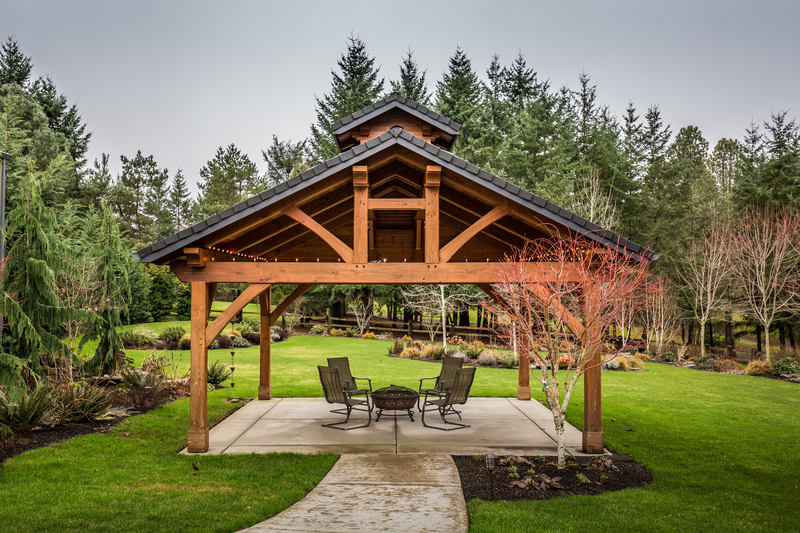 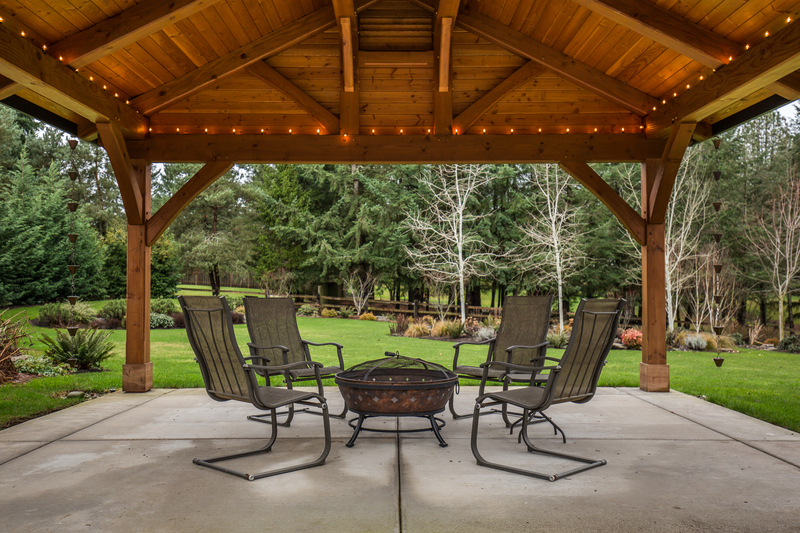 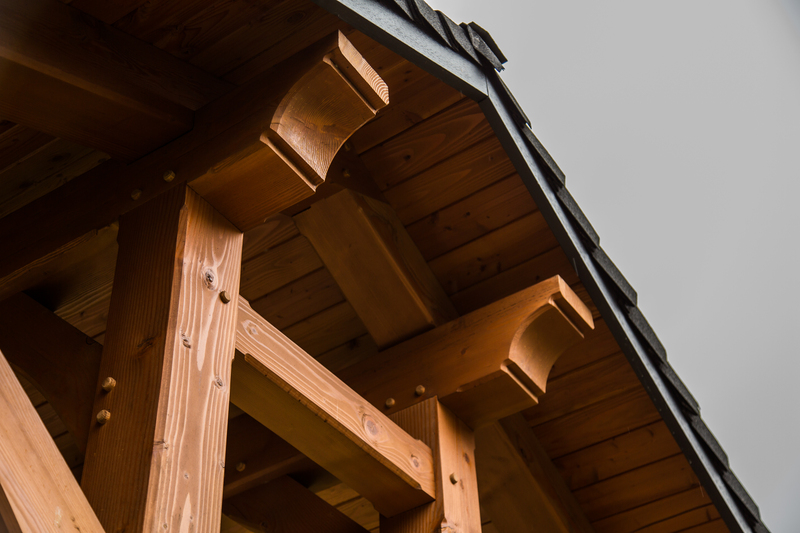 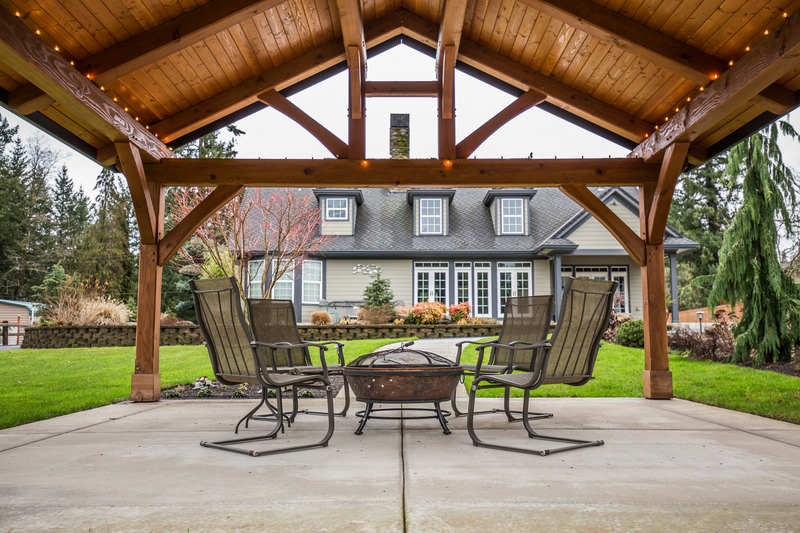 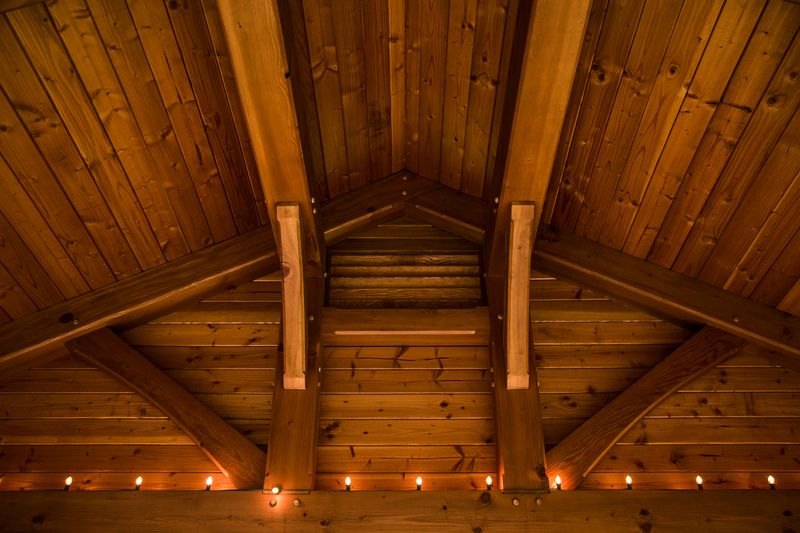 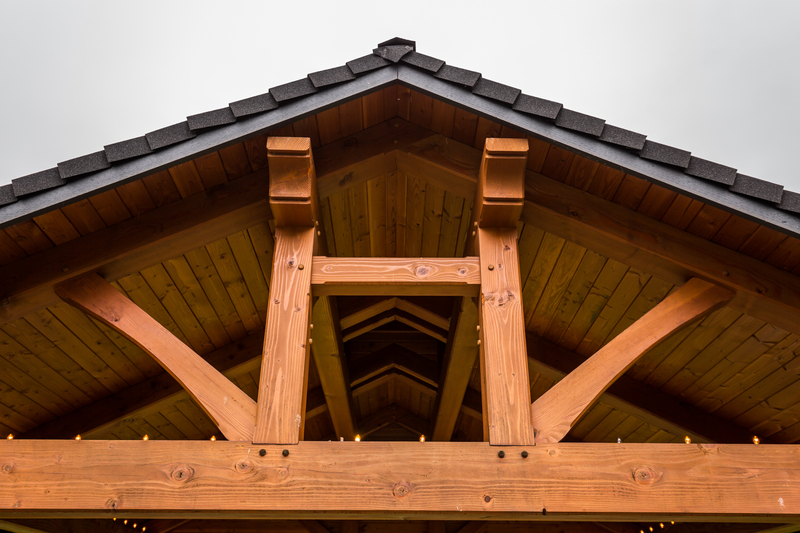 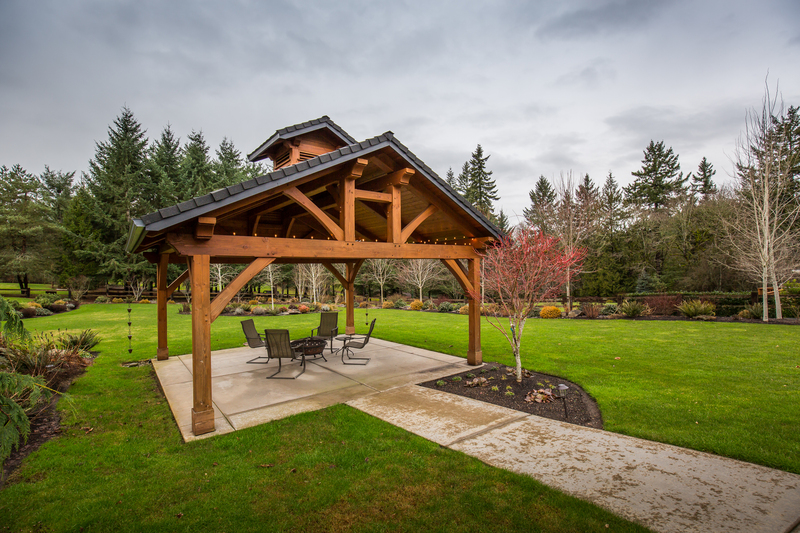 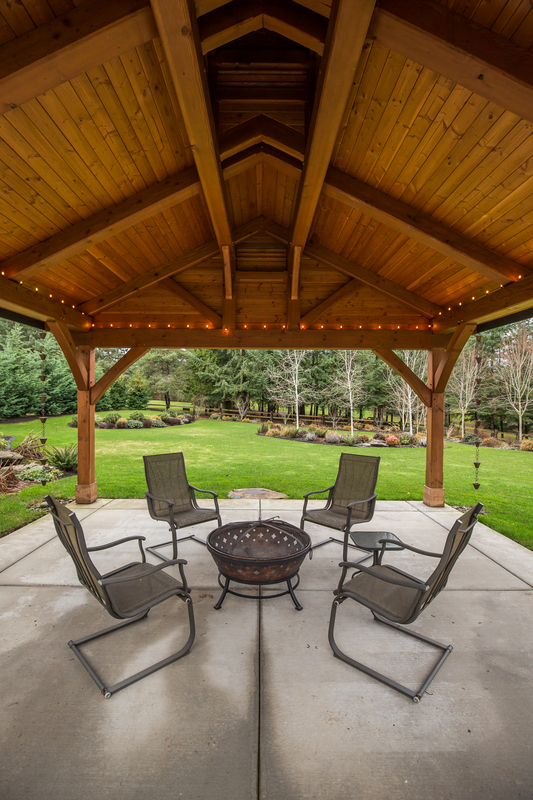 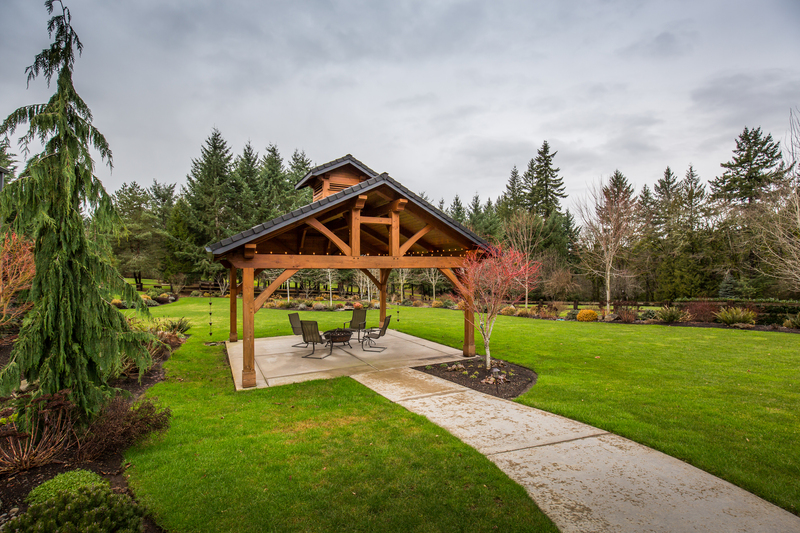 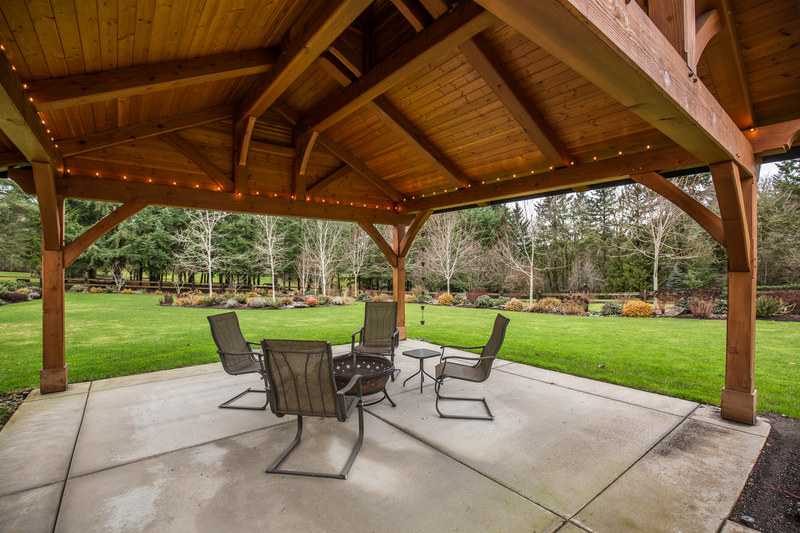 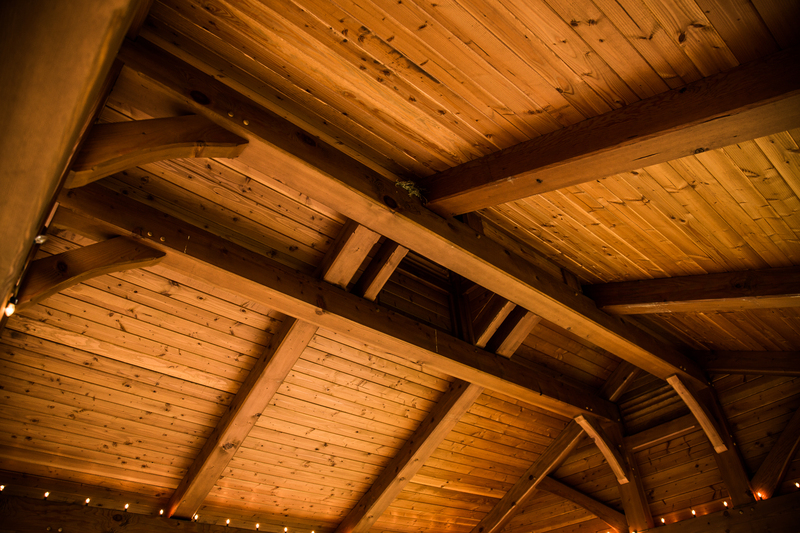 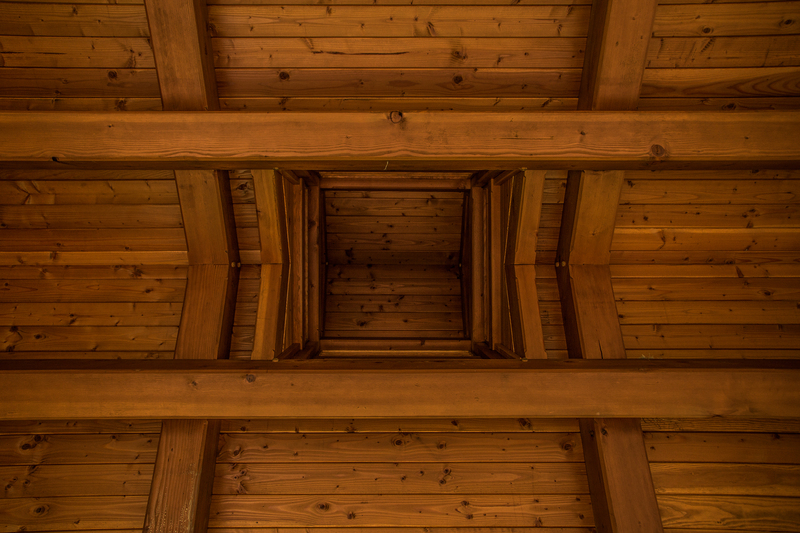 This beautiful timber frame structure from our Rainier style features a queen post with double ridge frame while the rafter peaks have a tongue and fork connection, all handcrafted from high-grade Douglas Fir from the Pacific Northwest. 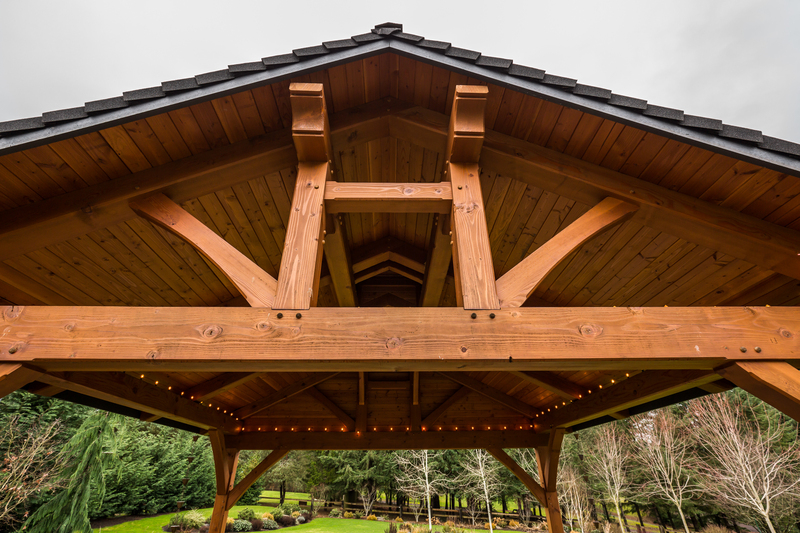 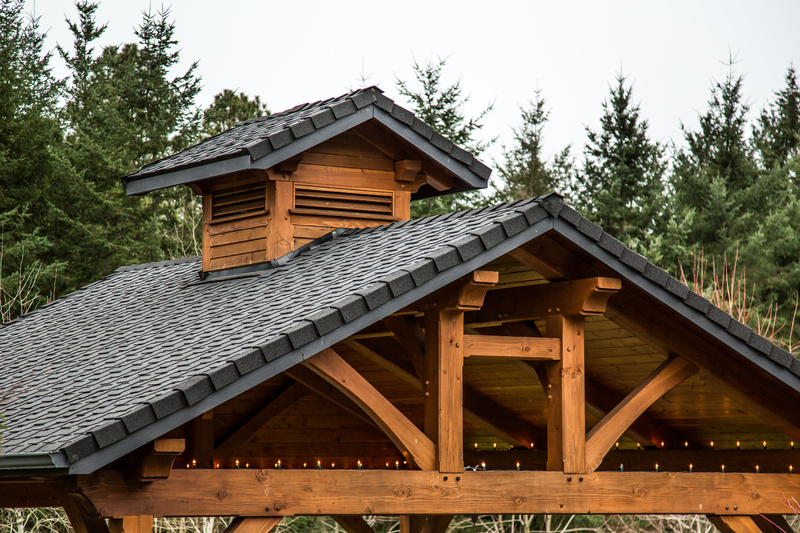 The tongue and groove ceiling, also made from Douglas Fir, completes the rustic feel of this pavilion kit while the 8/12 roof pitch along with the optional cupola provide a stunning look from both inside and outside the pavilion. 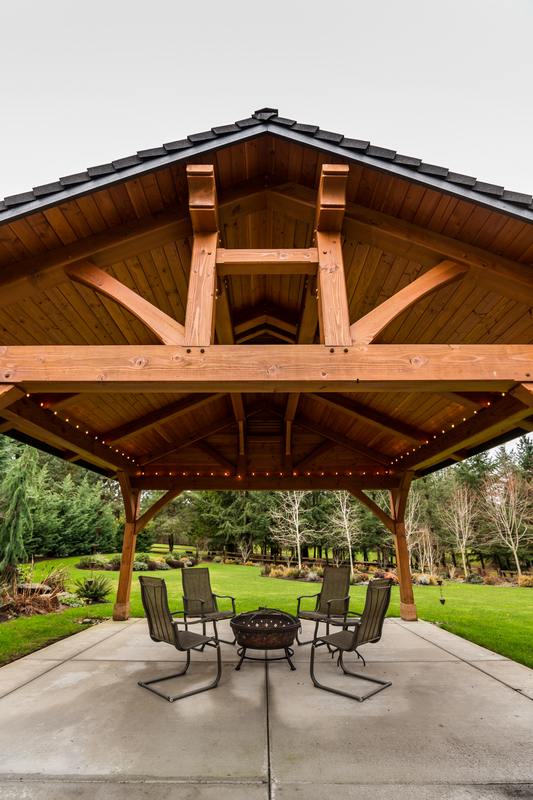 The park like backyard is the perfect setting for this 18’ X 18’ structure providing plenty of space for family and friends to gather.